Are you motivated and dependable? Do you thrive in a work environment where employees are rewarded for performance rather than tenure? Do you have lots of energy, intuition and initiative? Does working in a modern, professional, clean and organized environment appeal to you? If so, browse our available open positions below, learn what makes Autosquare Collision Center a great company to work for and fill out an application today! Structural & Body Repair Technicians: Our highly skilled technicians benefit from state-of-the-art equipment, in-house training and technical education. Estimating best practices and streamlined processes allow technicians to maximize their earning potential. 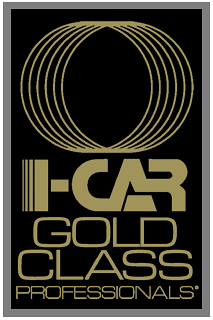 Refinish Technicians: In addition to high-quality refinish products and state-of-the-art equipment, Autosquare Collision Center provides training and incentive programs that enhance professional skills and reward results. With our European style downdraft spray booths, prep stations, and high quality paint system you won’t find a better place to work. Professional Claims Handlers/Estimators: Entry level and experienced estimators benefit from our many insurance relationships, internal training and development programs. Due to our rapid growth, talented estimators, as well as all other associates, are provided with expanded advancement opportunities. Detail Technicians: We place a great deal of emphasis on the overall quality of the detailing job since it’s the final signature of approval on the repairs conducted. 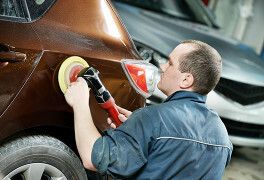 For this reason, the detail technician must be meticulous and thorough in performing the final get ready on the vehicle. Production Managers/Coordinators: This position requires a person with great discipline and attention to detail in order to ensure that every repair meets not only company standard, but also the customer’s approval. They must be an effective leader and motivator with exceptional personnel management skills. The production manager is typically an “answer man,” a problem solver and a mediator; some might even consider him a magician. Management Staff: We are constantly seeking experienced professionals with exceptional management skills as we continue to grow. Sales, production, administration; we offer a host of opportunities. Administrative & Clerical Staff: We offer administrative positions for people in all levels of system administration; including finance, accounting, information systems, marketing, data management, and government reporting. Maintenance Personnel: We take pride in the cleanliness and organization of our facility. Therefore we offer full time positions dedicated to the maintenance, repair, cleaning and servicing of all our equipment, fixtures, building and property. If you are interested in learning more about employment with Autosquare Collision Centers, download our Employment Application Form and drop it by any one of our stores. Alternatively, fill out the the online application from the link below, and be assured we will follow up with you immediately. All applications are treated as highly confidential and we will not divulge your name or other details to any third party without your express permission. Still looking for a reason to apply? Whether you’re a master technician, or are just beginning your collision repair career, Autosquare Collision Center has job opportunities and training to help you reach your highest potential. Here’s a list of 10 reasons of why our company is such an exceptional place to work.